As the production of engineered nanomaterials quantitatively expands, the chance that workers involved in the manufacturing process will be exposed to nanoparticles also increases. A risk management system is needed for workplaces in the nanomaterial industry based on the precautionary principle. One of the problems in the risk management system is difficulty of exposure assessment. 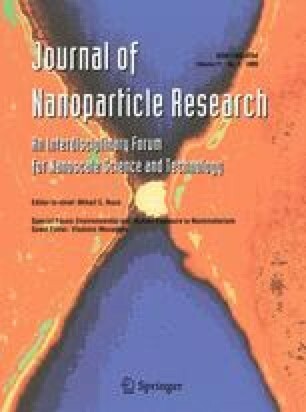 In this article, examples of exposure assessment in nanomaterial industries are reviewed with a focus on distinguishing engineered nanomaterial particles from background nanoparticles in workplace atmosphere. An approach by JNIOSH (Japan National Institute of Occupational Safety and Health) to quantitatively measure exposure to carbonaceous nanomaterials is also introduced. In addition to real-time measurements and qualitative analysis by electron microscopy, quantitative chemical analysis is necessary for quantitatively assessing exposure to nanomaterials. Chemical analysis is suitable for quantitative exposure measurement especially at facilities with high levels of background NPs. The authors wish to thank Dr Y. Shinohara and the researchers participating in the JNIOSH project “Occupational Health Issue of Nanotechnology Industry,” for their support and useful comments.